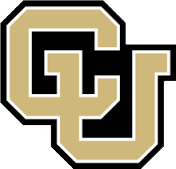 The University of Colorado is a dynamic community comprising 58,000 students and 30,000 faculty with staff located on multiple campuses. World-leading programs in nearly every academic discipline are offered, and, every day of the year, thousands of faculty, staff and students travel world-wide for research, advanced study and recruiting. Prior to implementing Concur solutions, the University used a manual, paper-based process for travel. With Concur, an end-to-end solution expedited the process and addressed everything from travel booking through expense report generation and approval. The ability to coordinate all aspects of travel—preferences, itineraries, alerts, card charges and expense report submission—plus, the ability to automate business rules and scan receipts—has proved to be a major benefit. Faculty and staff receive their reimbursements faster, improving their overall satisfaction and morale. In addition, integrating the University’s procurement cards with back-end financial systems enabled visibility into another area of spend, resulting in increased savings for the university. • Online travel booking has enabled savings of $310,000 in airfare transaction fees alone in the first year. • The university has leveraged aggregated airfare data to negotiate new vendor discounts amounting to an additional $215,000 in savings. • Converting to a corporate-billed travel card integrated into Concur’s end-to-end solution has resulted in $432,000 in travel-related rebates. • Concur® Expense Pay has helped the University accelerate expense reimbursement time by nearly 80 percent. • The University has reduced expense reimbursement time from five days to 1.4 days. To hear more about the University of Colorado's success parenting across departments, watch this video. The Concur products we use at the University of Colorado allow us to run a lean and efficient organization while providing a high level of customer service to our faculty and staff.